Brockville Gymnastics Academy – Fun. Fitness. Fundamentals. Subscribe to our email list to get all the latest news delivered to your inbox! 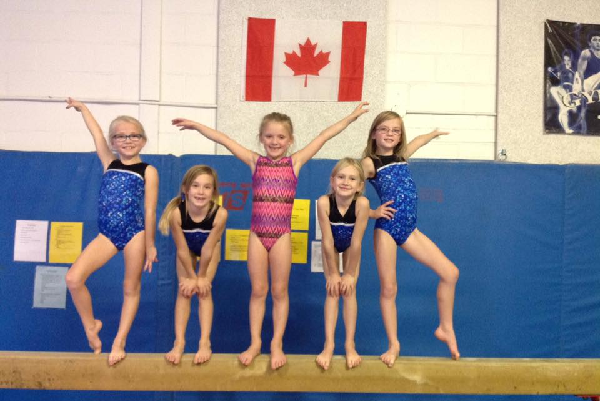 Brockville Gymnastics Academy is a non-profit organization that offers programs to promote your child’s love for the sport of gymnastics in a fun and safe environment. Qualified coaches provide opportunities for children to develop gymnastics skills, positive self-image, and body awareness. Our renovated (as of September 2010) and fully air-conditioned gym is conveniently located at 10 Gilmour Street in Brockville’s West end close to Metro and Leons. Our 5000 square foot dedicated gymnastics facility is equipped with a foam-resi pit, in-ground trampoline, spring floor, uneven bars, beams, rings and much more.